Located within the London Borough of Bexley, Sidcup is a suburban district in the southeast of the English capital. With a population of around 11,000 and superb access to central parts of London, there’s a thriving property market in Sidcup. 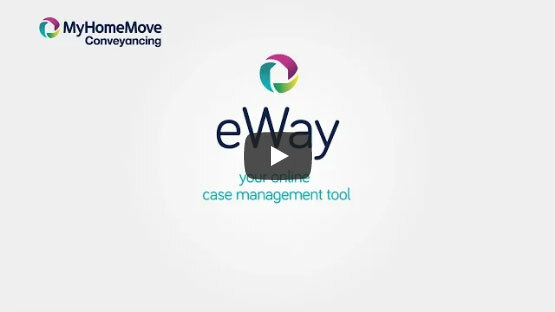 At My Home Move Conveyancing we’ve been developing our knowledge of markets like this since 2001, allowing us to bring our clients in Sidcup an outstanding, specialist conveyancing service. When buying or selling property in Sidcup, you’ll need the services of property lawyers to help you complete the necessary legal work. My Home Move Conveyancing offers an award winning level of customer service, which makes moving home less stressful for you. We combine an innovative use of technology with unrivalled experience and a positive, dedicated approach to what we do. Our conveyancing service comes for a fixed fee, so you can plan for exactly how much you’ll pay from the start. There are no extra hidden costs to worry about when we act as your Sidcup conveyancers. We even operate a ‘no completion – no fee’ policy for total peace of mind, so if you don’t end up moving for some reason, you won’t have to pay us anything in legal fees. We’ll assign you a dedicated conveyancer who’ll take care of your case from start to finish. You’ll have a consistent point of contact and regular updates on your progress, as well as access to your account online as part of our market-leading service. This gives you 24-hour access to your move status, so can check up on things at a time that’s best for you. At My Home Move Conveyancing we’re proud to supply our conveyancing services in Sidcup to customers looking for a variety of homes across the area, including near the train station, Foots Cray Meadows and Sidcup Golf Course. The average house price in the borough of Bexley is £334,634, while in Sidcup the overall average sale price during the past 12 months was higher than this at £369,371. Most sales in this period involved flats, which went for an average of £245,192, while terraces fetched £352,771 and semi-detached houses sold for £450,278. Sidcup has grown up from its humble origins as a small hamlet on the road between London and Maidstone. In the late 1700s it was still a small street of houses but with a pub for residents to enjoy, while the modern town has a range of Victorian and Edwardian properties as well as a selection of 1930s housing. Sidcup is a fabulous place to live if you want to work in London without the hustle and bustle of more central places. The district has its own train station, which offers services to the capital’s Cannon Street and Charing Cross stations that take just 35 minutes. The A20 road heads from Sidcup to more central areas of London, but there’s a bypass that takes traffic away from the neighbourhood itself. When you want to go on holiday, Gatwick Airport is just over 30 miles away by car, a journey which can be done in around half an hour if the roads are clear. There’s a good choice of schools in Sidcup for families with children to take into account, including the highly rated Birbeck Primary, Our Lady of the Rosary Catholic Primary and Days Lane Primary. If you’re looking for a secondary school, Kemnal Technology College, Chislehurst and Sidcup Grammar and Hurtsmere School are among the best options. All properties in Sidcup will fall within one of the following council tax bands.